Radial leaded: Both leads exit out one side of the core for vertical mounting on the PC board. 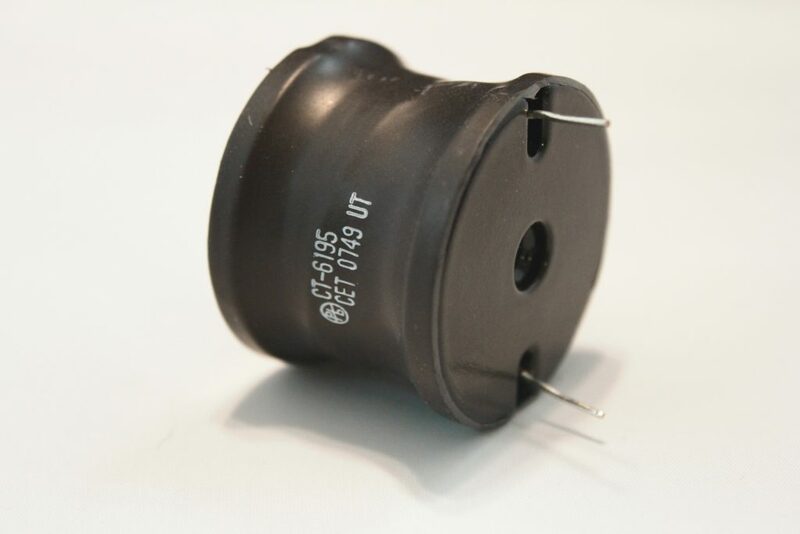 The core material of drum core inductors is most often ferrite, but can also be powdered metal. Drum core inductors usually do not have a closed magnetic path. This means that saturation current can be very high, but the tradeoff is that there is more noise produced in nearby components. Call or complete and RFQ to start the design of your drum core inductor.